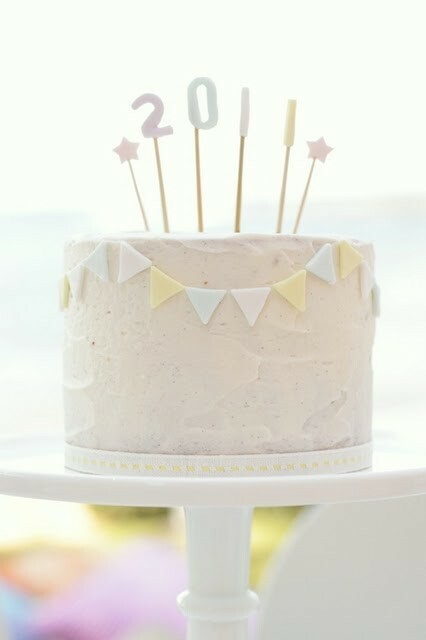 It’s been an amazing year, probably the best of my life. 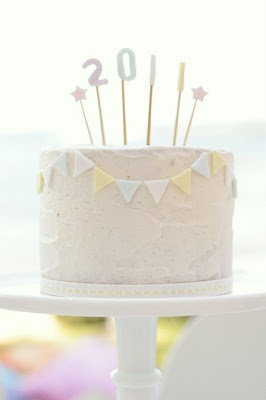 Filled with love, firsts, growth, old friends, new friends (hello blog besties! 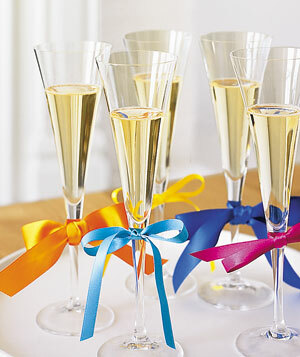 ), dear family… So I’m going to celebrate 2010 and ring in 2011 big tonight. I hope that you all do the same with your nearest & dearest. All of my love to you all, XOXO. I couldn’t help myself. I had a perfectly festive black sequin skirt all laid out for NYE. I just needed to find a perfectly festive top to pair with it. 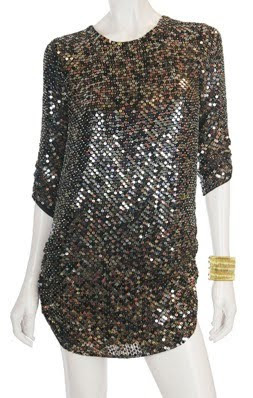 Then I saw this Parker Sequin Dress at Thera M (one of my favorite local boutiques). The look on my husband’s face when I tried it on was all I needed to throw all responsibility out the window. 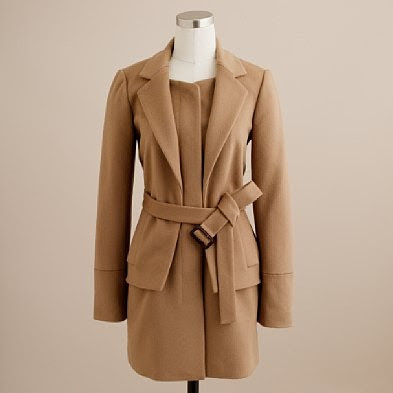 It was their last one, it fit like a glove, the ruched sleeves concealed my winter white arms, and I had to act fast (Lilly was about to hit meltdown mode). Poor sequin skirt. She really is fabulous. Maybe I’ll wear her on a ladies night out or Valentines day. 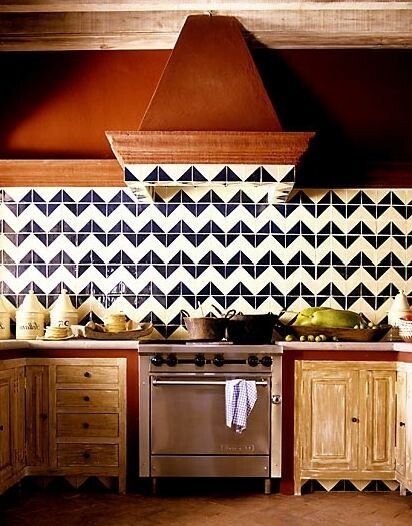 I really love this backsplash. That is all. 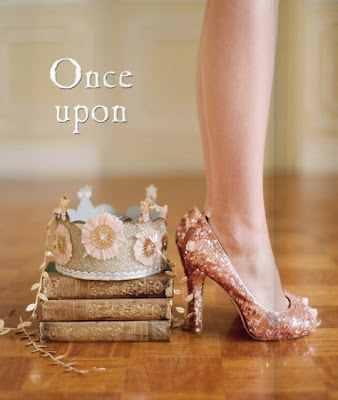 ﻿ Carry on with your blog browsing. A little orange box from my Dad to start off things right… yay!! 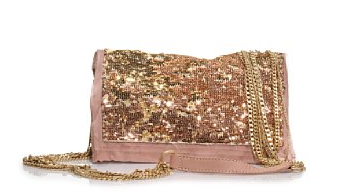 I had been eyeing this sparkly J.Crew bag since February. No joke. I don’t even know when Josh bought this b/c it isn’t even on their website anymore. He is sneaky!! I’ll try to come up with a “How I Wore It” post featuring it. A new Barefoot Contessa cookbook courtesy of my in-laws. I predict another cooking post in my future! 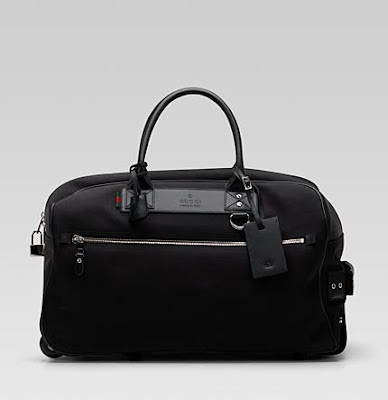 A new Gucci carry-on roller duffel from my Dad. This beauty is actually on backorder so it’s not yet in my hands. Can’t wait! And I knew this Seesaw Letterpress Calendar looked beautiful online, but it’s even more gorgeous in person! !﻿ Thanks Mom! Okay, I’ll throw in one more holiday prize I received. 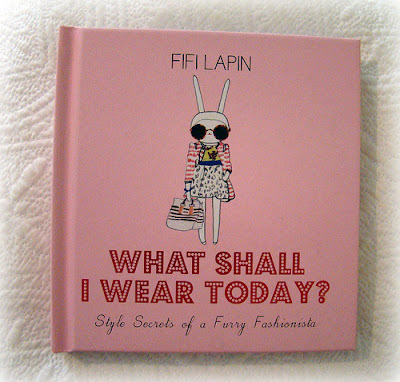 The book that was on most every fashionista’s wishlist… Fifi Lapin. Yep, the sunglasses I was wishing for. ﻿I was ultra spoiled this year, and I hope you were too. We spent the holiday with my family up in Kentucky and Indiana, was so lovely. We even got snow on Christmas Eve. It was so magical to watch it fall. Next time I will be better prepared and have a snowsuit to throw on Lilly so she can truly enjoy it! While we were in Kentucky we stayed at my Dad’s home, which is incredibly gorgeous and surrounded by beautiful rolling hills. I staked out this little barn for a rustic photo-op. I think it’s so cool. Perhaps you can tell that my husband wasn’t feeling the photo session, ha! Perhaps if he would dress a little more appropriately for the weather… Next time I suppose. Anyway, we got back to Charleston this evening and it feels so good to be home. I will say I’m a little daunted by what all needs to be done (unpacking, taking down Christmas decor…). 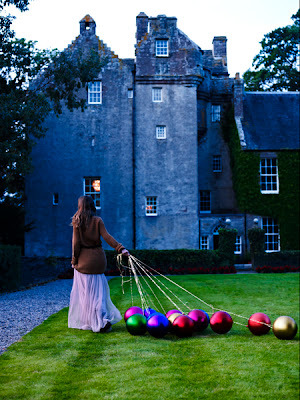 Why is it that it’s never as joyful to take down the decorations as it is to put them up?! I know I’m not the first to feel this way. I have a slew of talented friends, ya’ll. But my girlfriend Calder never ever ceases to amaze me. She’s a highly sought after wedding and event planner based of out Charleston, SC (which just so happens to be a MAJOR wedding destination). 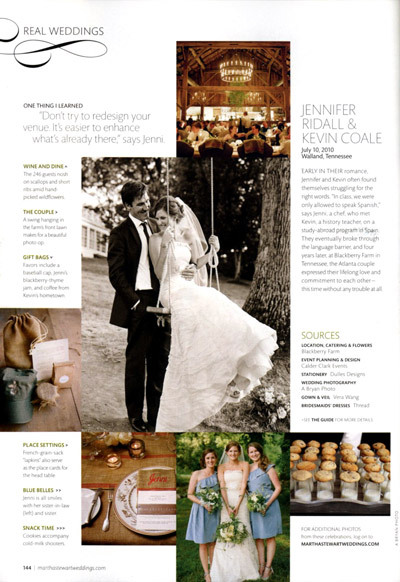 And today I’m so proud to share with you her latest and greatest published wedding in Martha Stewart Weddings Winter 2011 issue. May I add this is her SECOND feature to grace the pages of Martha?! She’s a rockstar. I’m endlessly inspired after each “girl date” we have, and I’m so happy to share a little Calder Clark magic with you all today. The lovely Calder above… Had to share her pretty face. The wedding took place at the gorgeous Blackberry Farm in TN. 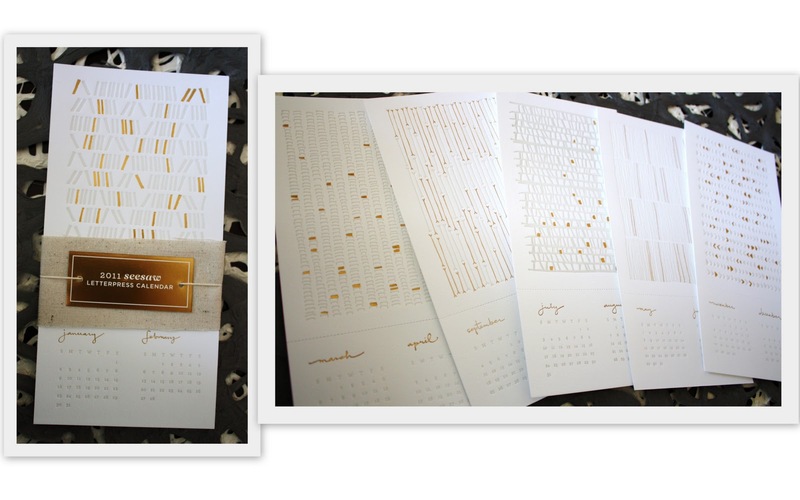 Do you see the french-grain-sack “lapkins” that double as place cards? They are absolutely beyond and perfection for the venue. 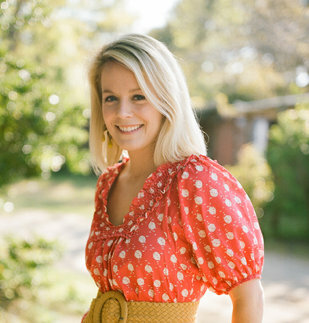 Check out the rest of the article and gorgeous details here.